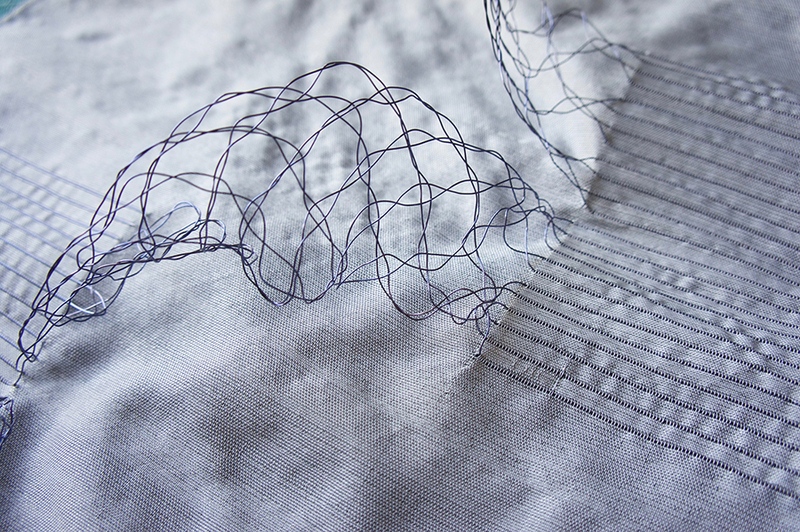 Hannah Robson constructs sculptural textile pieces using combinations of weaving and lace-making, exploring how threads can escape the traditional vertical and horizontal pathways imposed by the loom. 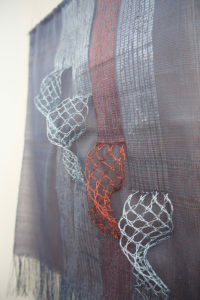 She studied at Winchester School of Art before going on to the Royal College of Art to complete an MA in Woven Textiles. 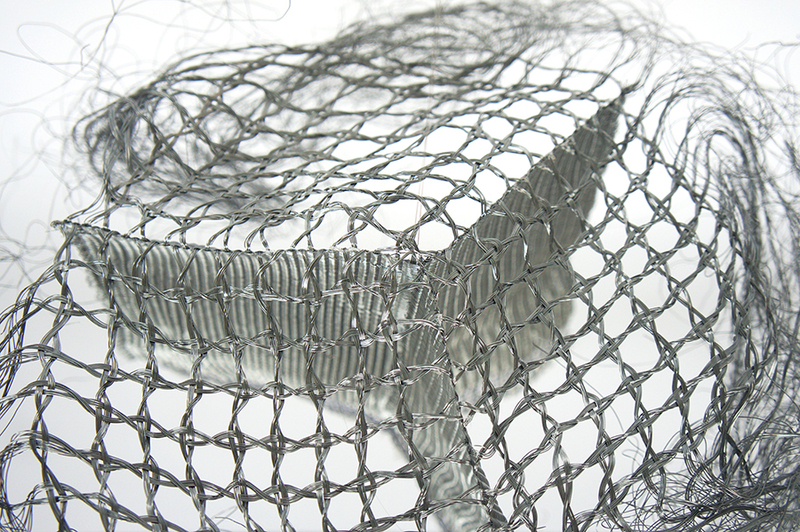 During her MA she developed methods for creating three-dimensional forms through textile construction techniques, which continue to inform her experimental practice. She creates opportunities for threads of metal, paper and polyester to break away from woven surfaces, taking alternative routes through space and joining together in three-dimensions. She exploits the tensions between rigorously controlled constructions and free-flowing loose threads, balancing elements of structure and chaos within her work. Robson was selected by the Crafts Council and Jay Osgerby to develop new ideas to exhibit as part of Collect Open 2018 at Collect: The International Art Fair for Contemporary Objects. Her installation Ersilia is inspired by the chapter of the same name in Italo Calinvo’s Invisible Cities, in which strings are are stretched between the inhabitants of the city, creating ‘spider-webs of intricate relationships seeking a form‘. The work will be on display at the Saatchi Gallery between 22nd-25th February 2018. This entry was posted on Wednesday, February 21st, 2018 at 10:02 am	and is filed under Company Profile, Exhibitions, General, New weave developments. You can follow any comments to this entry through the RSS 2.0 feed. You can leave a comment, or trackback.